It’s so ironic that I am not a beach-lover to think that I grew up in a coastal town where my family used to have a vacation house by the beach. I remember spending every summer vacation there since I was kid until college. While I enjoy being at the beach, it’s not something that I will intentionally plot in my upcoming trips calendar unless my 4-year old is coming with me because that little one is an aquaphile. However, when I was planning for my 10-day Busan/Seoul trip last Spring 2017, I found myself including Haeundae Beach in my itinerary. I intended to visit Haeundae Beach because I’ve never heard of a beach being accessible by subway and I wanted to experience it myself. In short, I was more interested about the transport system than the beach itself. Sure enough, Dynamic Busan didn’t fail to impress. 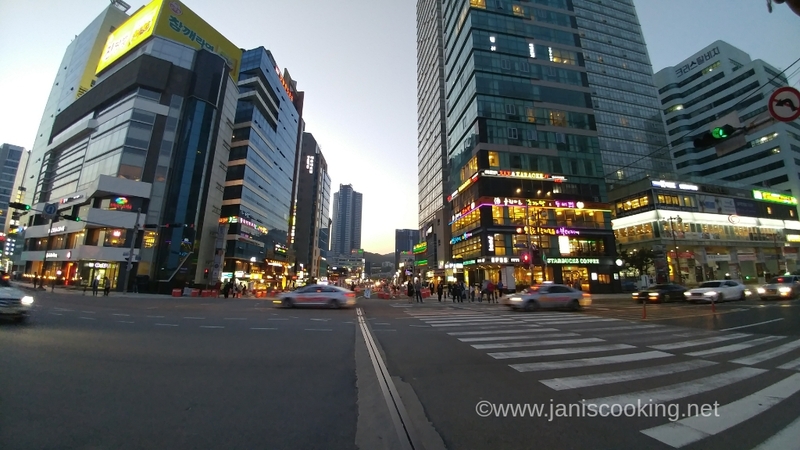 As I said in a previous post, transportation in Korea is seamless and it makes going around the city very convenient, and that includes going to the beach. Haeundae Beach is the most famous beach in Busan. 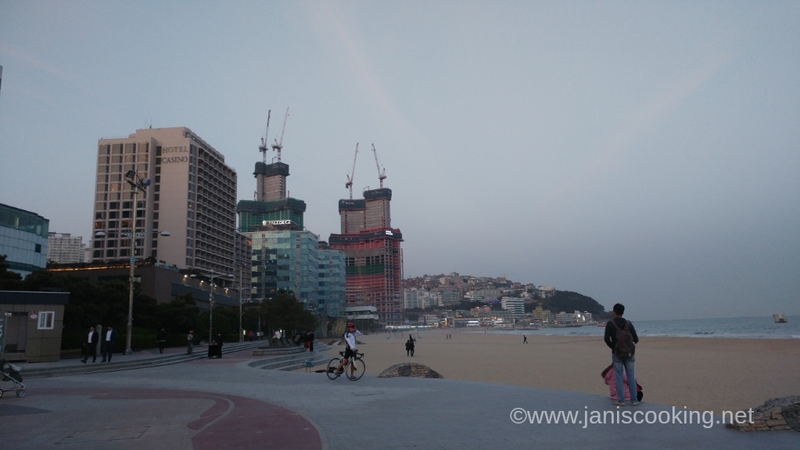 The Haeundae District is an expensive beach front neighborhood that accounts for about 11% of Busan’s population. It has been developed into a commercial district and in fact, when I visited last April 2017, there’s a lot of road construction going on. The beach is about 1.5-km long and it creates a beautiful coastline. A lot of people visit Haeundae Beach every summer. 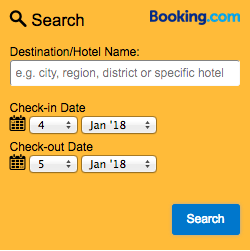 There are luxury hotels in the area, and guesthouses or Airbnb places have pretty much increased their presence too. 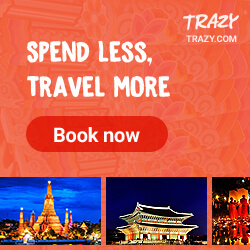 If you go to Busan for the beach, Haeundae district is an ideal option for a homebase. However, I went to Busan for sightseeing and I did not intend to spend a lot of time at the beach and so I opted to stay in Seomyeon instead. 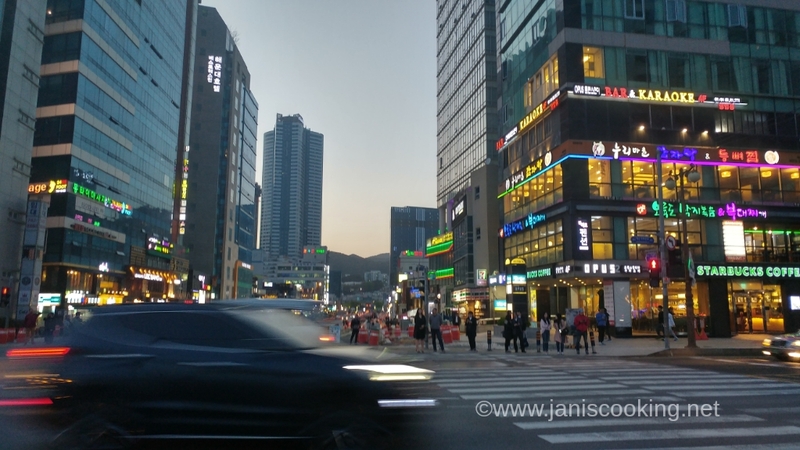 If you’re going to Busan for purposes like mine, Haeundae is not going to be an ideal neighborhood because it takes roughly 40 minutes by subway to get to the center of the city. 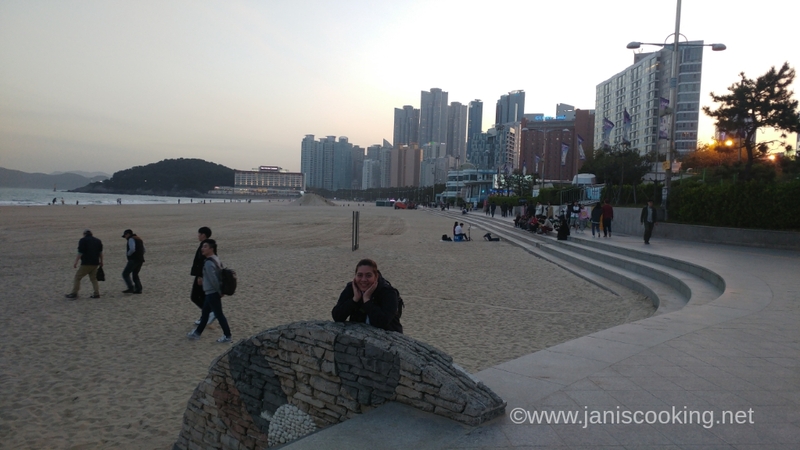 I remember arriving in Haeundae Beach around 5-6pm. It wasn’t dark yet and I found it a great time to relax. The people I encountered were a combination of tourists and locals but the ones I envy the most are the office workers in their suits who were headed to the beach to unwind after a day’s work. How I wish there’s a place like this somewhere near Metro Manila that I can reach by train in 40 minutes. It will greatly help reduce my cortisol levels! 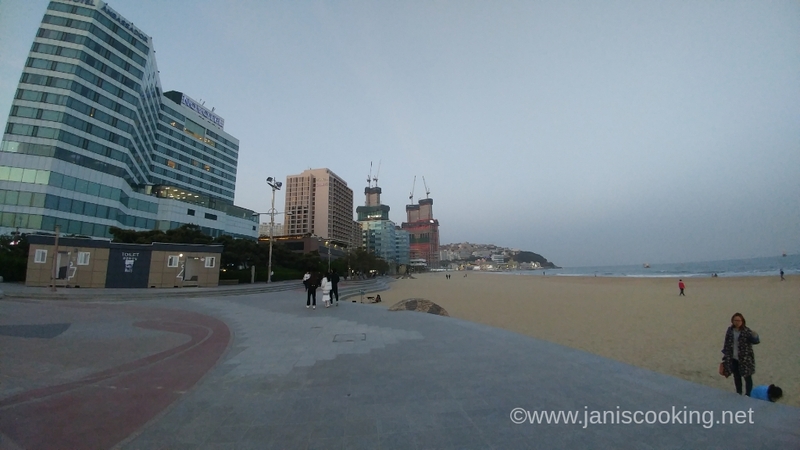 Haeundae Beach, though not as beautiful as the white sand beaches in Palawan or Boracay, has a distinct charm of its own and is definitely one of the sites you should not miss when visiting Busan. 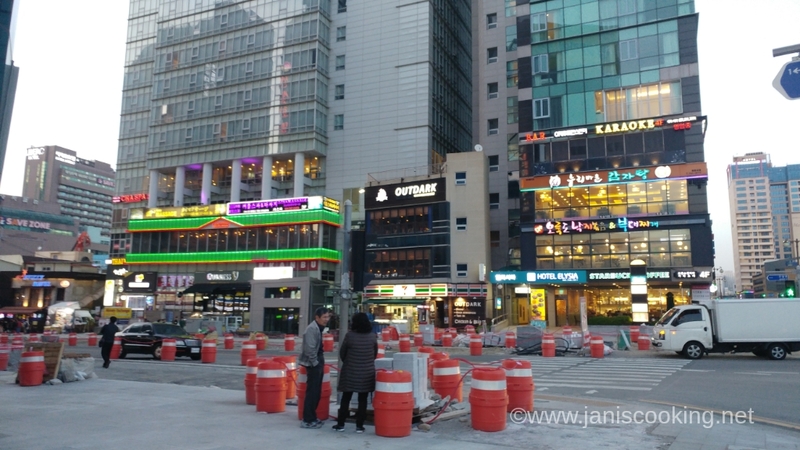 I’m parking here with a short video of my visit to Haeundae Beach. 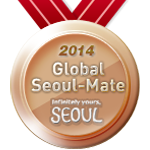 Directions: Haeundae Station (Busan Subway Line 2), Exit 5, 7. Walk straight to the beach for about 500 meters. You’ll be passing through restaurants, convenience stores and shops along the way and before you know it, you’ll be crossing the pedestrian lane towards the beach (see last photo above of the pedestrian crossing).